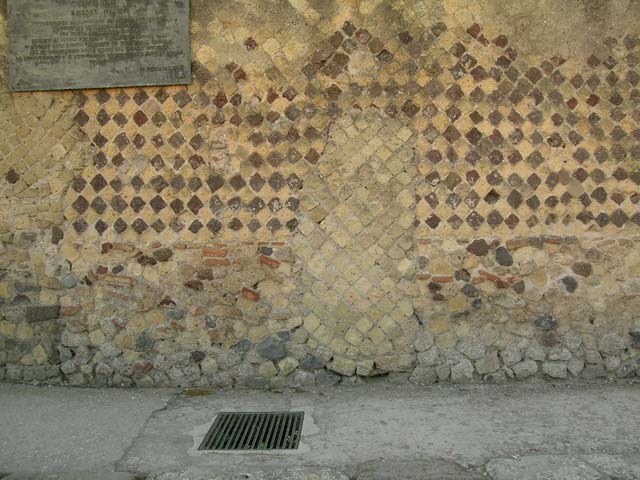 According to Wallace-Hadrill, this was a public latrine. III.7 Herculaneum, July 2015. Looking south to entrance doorway to ancient public latrine. 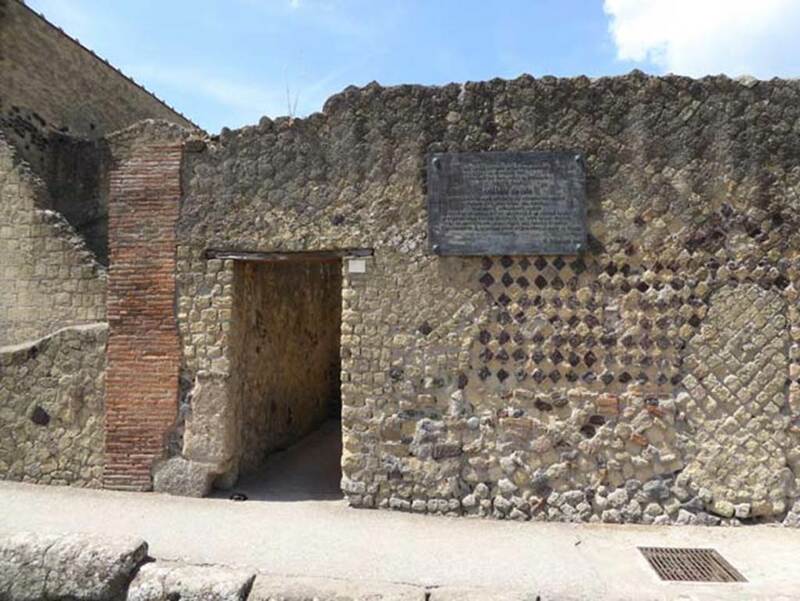 The plaque records Amedeo Maiuri started the Nuovi Scavi di Ercolano here, at the extremity of the Bourbon excavations, on the 18th May 1927. III.7, Herculaneum. May 2005. Detail of wall on west side of doorway, in northern facade of Insula III.